to help you Make More Money Online! Building a LIST and Sending Offers to your list is the Most Important thing you can do to Make Money Online! It doesn't matter whether you are promoting an affiliate program, income opportunity, or selling products from a website- you should be capturing the names, email addresses and/or mobile numbers of the people who look at your offer! If you are not doing that then you are losing money! Usually, less than 5% of the people who visit a website for the first time buy a product or join a program. So what about the other 95%? If you are going to spend your money and time to get people to visit a website then you need to get those people on your list. Those people who do not spend money right away may do so later if you continue to contact them and build a relationship. Often a person needs to be exposed to a product, service or opportunity several times before they are ready to spend money. If you get their email address or mobile number, you will be able to send them follow-up messages about your product, service, or opportunity. You will also be able to contact them about similar products, services or opportunities. Send highly targeted traffic to a squeeze page where prospects opt-in to get a free incentive or lead magnet that is related to the product, service, or opportunity that you are offering. After prospects opt-in, redirect them to the sales page of the website for the product, service, or opportunity that you are promoting. Use an autoresponder to send your prospects a Welcome message with the link to your lead magnet and to send follow-up messages about the product, service, or opportunity. Send offers to your prospects about similar products, services, or opportunities. Before you start sending traffic to your squeeze page you need to be sure that your marketing system is in place so that you can maximize your profit from the traffic. Once you learn how to set up your marketing system correctly, you can do it over and over again in any profitable market or niche. Domain Name: URL or address used to get to your squeeze page. Click the banner below to get your domain names. Web Hosting: Service that holds or hosts your squeeze page and lead magnet that is used to get subscribers. Click the banner below to get web hosting. Squeeze or Lead Capture Page: Single web page that is used to capture the visitors contact information, especially the email address and phone number, for follow-up marketing. It should display content that is relevant to the advertisement that caused your visitors to go to your squeeze page and a form to complete in order to capture their contact information. to see 1 example. 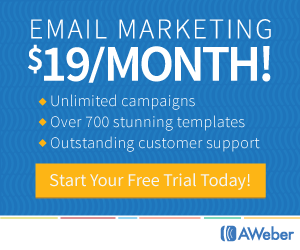 This page works with my Aweber autoresponder. Autoresponder: Computer program (script or software) that sends an automated email in response to a request for information. Click below for more information on the best autoresponder service. Do it ALL without EVER having to pay a monthly fee! Ad Tracking Service: Service that tracks the sources of web traffic. By knowing where your traffic is coming from, you will be able to determine which advertising campaigns are profitable and which ones are losing money. The best tracking service that I have seen is clickmagick and I recommend that you check it out as soon as possible! Join SoManyHits for FREE and get unlimited link shortening & tracking! Upgrade later when you see the benefits of becoming a paying member. If you have a server then you can install a tracking script and not have to pay a monthly fee for a tracking service. The tracking script that I use is AdTrackz. AdTrackz is a Light, Fast and Easy to Use Ad Tracking Software used to Analyze Your Marketing Campaigns and to Improve Your Return on Investment and Business Growth! Click the link below to get more information. FREE Lead Magnet: If you give away a FREE incentive related to the income opportunity, product, or affiliate program that you are promoting then you will get more people to opt-in on your squeeze page! Examples include free reports or articles, free ebooks, free software or scripts. If you are in the MAKE MONEY ONLINE niche, you could give away the FREE eBook - "Step-by-Step Strategy to Making $1,000 Per Week". It does NOT contain any affiliate links so it will make a GREAT GIFT to use as an incentive to get people to opt-in to your list! Giving away an ebook that offers a strategy for making $1,000 per week online should generate a lot of optins. You could also use it as a bonus for people who buy an affiliate product from your link. Click the link below to get it and feel free to send your subscribers to my download page to get it or create your own download page for it. Free Reports/Articles- The report should include the most important things about your offer as well as the link to your website or affiliate website where they can join or purchase what you are offering. The report can also include your affiliate links to other products and services that will help the subscriber to make more money with the offer. You should be able to get the content that you need for your report from the website of your product or program. All you have to do is copy and paste the content you want to use into your word processor and rearrange it to suit your needs. After your report is complete you will want to convert it to the PDF format so that it cannot be changed by those who download it. You can convert it to the PDF format in Writer, the word processing program in OpenOffice. If you don't have OpenOffice installed on your computer then download it and install it. OpenOffice is FREE and it is similar to Microsoft Office. Click the link below to get OpenOffice. Traffic: Visitors to your Squeeze Page or Website. When it comes to Making Money Online the #1 Concern is - How to get Targeted Traffic to a squeeze page or website? SMS/Text Message Marketing if you text the RIGHT people! 3) Videos: One of the best ways to get FREE TRAFFIC is by creating videos and uploading them to YouTube or other video sites. Video recording software can be expensive but you can start with free software and then buy later when you can afford it. Click below to get the FREE Video Recording Software that I recommend. TubeBuddy is a FREE browser extension that integrates directly into YouTube to help you run your channel with ease! TubeBuddy can help you manage, optimize, and GROW your YouTube channel! Click the banner below and check out all of the features. Click below and check out my YouTube channel to see my latest videos that I created with Screen-Webcam Recorder and see how I used TubeBuddy to make great looking video cards, thumbnails and optimize my videos. Be sure to join my YouTube channel! Looking For HOT Products To Promote? Affiliate marketing is one method that you should use to make money online even if you are already successful using other methods. You don't need your own product or service and you can get started with little or no money! You don't even need your own website but you should use a squeeze page to build your list before you redirect your prospects to your affiliate website. Perhaps you are already promoting an income opportunity as your primary source of income but have you considered adding additional income streams that will not interfere with your primary business? There are affiliate products that you can recommend to your downline that will help them to be more successful in building their primary business which of course is also your primary business. If they buy affiliate products that you recommend you will benefit in 2 ways: You will earn affiliate commissions and you will earn more from your primary business if the affiliate product helped your downline to earn more in their primary business. And what about all of those prospects that you added to your list who never joined your primary business? You should be offering affiliate products to those people! You don't want to waste your time promoting products that are not profitable so select a market that you know will be profitable. Any market that helps people make money, save money or improve their life in some way will be profitable. One good example of a profitable market is Weight Loss but the most popular profitable market is Making Money Online! If you are already promoting an income opportunity and building a list of income opportunity seekers then you already have a targeted list of people who will be interested in affiliate products in the profitable Making Money Online market! Cost: Products ranging from $27 to $97 are priced high enough so that it is worth your time to promote them but usually products that cost more than $97 are too hard to sell. High Commissions: 50% - 75% is possible with Digital Products. Digital products such as information and software can be downloaded right after they are purchased in most cases. Since there is little overhead the profit margins are high. Therefore, the commissions are higher than with physical products. Quality: Does the product have real value? Would you buy it? High Converting Sales Page: The sales page must convert visitors into buyers. Be sure to read the entire sales page of each product before you decide to promote it. If the sales page convinces you that the product is worth buying then it will probably convince others as well. Promotional Tools: Look for an Affiliate link on the affiliate website and you should find email ads, classified ads, banners, reports and other marketing materials that you can use to promote the product. Click the banner below and join now for FREE! Then upgrade later when you see the benefits of becoming a paying member. to your website. It Only Costs $19! Click the banner below. 3) Become a Web Hosting Reseller. Resell Hosting, Domain Names, Whois Privacy Protection and SSL Certificates. Click the banner below.